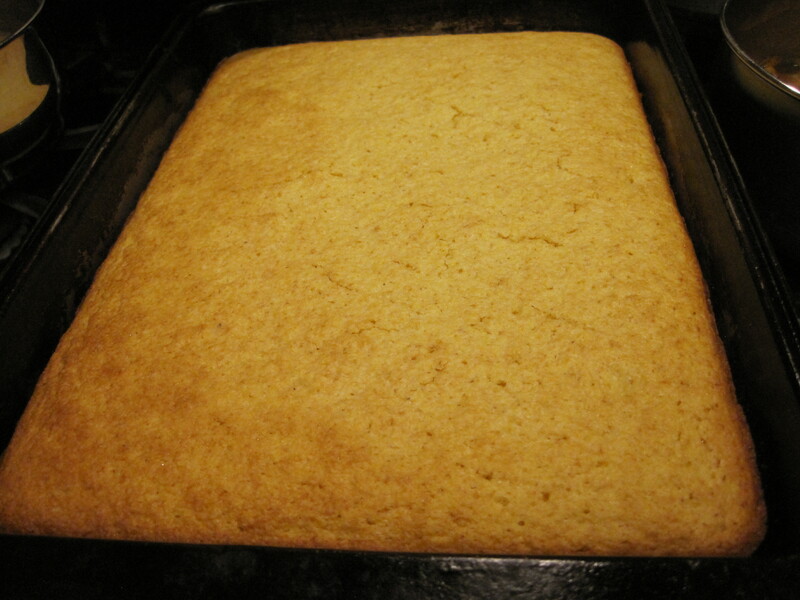 Corn bread is a delicious accompaniment to soups, barbecued meats, and beans. 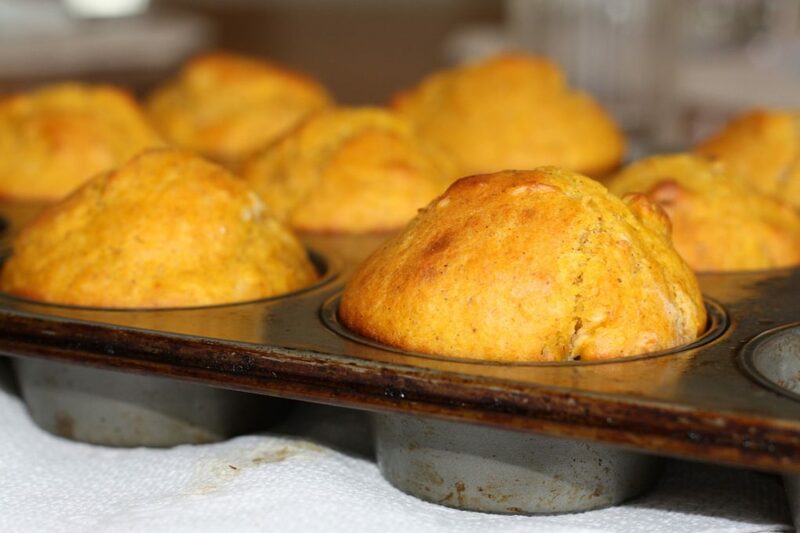 This recipe may seem like a strange thing to include in a month of canned food recipes, but the fact is that corn bread can be made with canned milk, and canned milk is often under-appreciated as an ingredient. Eggs can be replaced with a combination of chia or flax seeds and water. The result from these substitutions is a simple and delicious bread or muffin made from shelf stable ingredients. 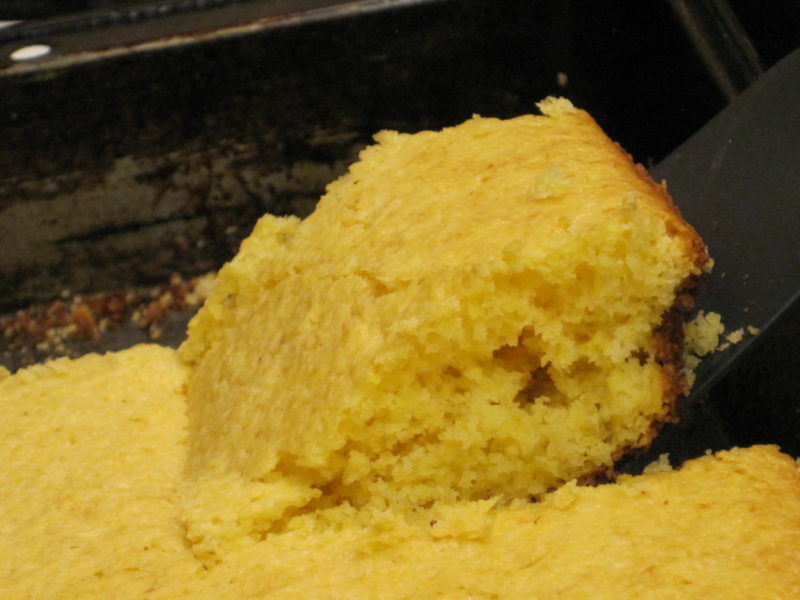 This recipe can make either a pan of cornbread or a dozen corn muffins. It’s sure to disappear quickly no matter which way you make it. Seriously, my family devours this. I blink, and all that’s left is one piece of bread and a plate full of crumbs. 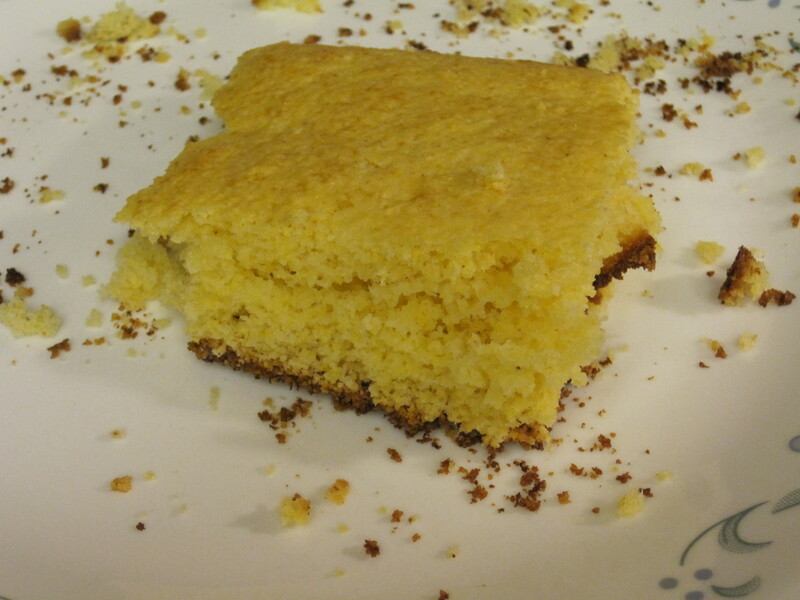 Give our recipe for Corn Bread a try and let us know what you think by leaving a comment below. Mix chia seeds and water together and set aside. This allows it to become thick and similar to egg in texture. Put corn meal, flour, sugar, baking powder, and salt in a large bowl. Mix dry ingredients together, and create a well in the middle. In another bowl, mix together evaporated milk, chia and water mixture (or an egg), and the oil. Mix these wet ingredients well. Pour liquid ingredients into the well in the middle of the dry ingredients. Stir until all ingredients are mixed together being careful not to over mix. Pour batter into a greased 8X8 inch baking pan. Bake for 20-25 minutes or until a toothpick inserted in the center of the pan comes out clean. This is best served warm with butter. TO MAKE CORN MUFFINS: Follow recipe as above, but spoon batter into a 12 cup muffin tin, filling the muffin cups ⅔ of the way full. Bake Muffins for 15 minutes.